The 52nd Annual Country Music Association Awards were held Wednesday at the Bridgestone Arena in country music's state Nashville, Tennessee. Longtime CMA Awards co-hosts Brad Paisley and Carrie Underwood returned to the Nashville stage for the 11th time. Luke Bryan opened the show with some help from special guests. He opened with his title track of his newest album "What Makes you Country." To finish off the evening the biggest award of the night went to non other then Keith Urban, winning 'Entertainer of the Year'! Winners aside, we need to talk about the most important part of the evening, the Red Carpet! 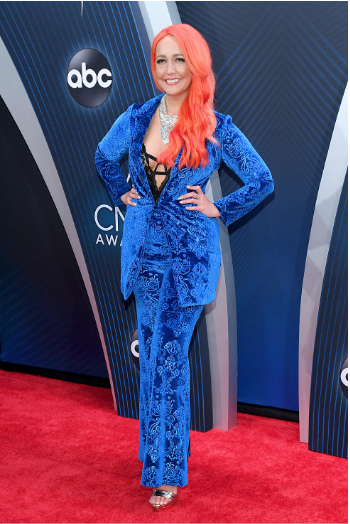 Here are our top 6 best and worst dressed of the CMA Awards. Some had feathers, some had ruffles, and some just need a new stylist! country chic on the red carpet!